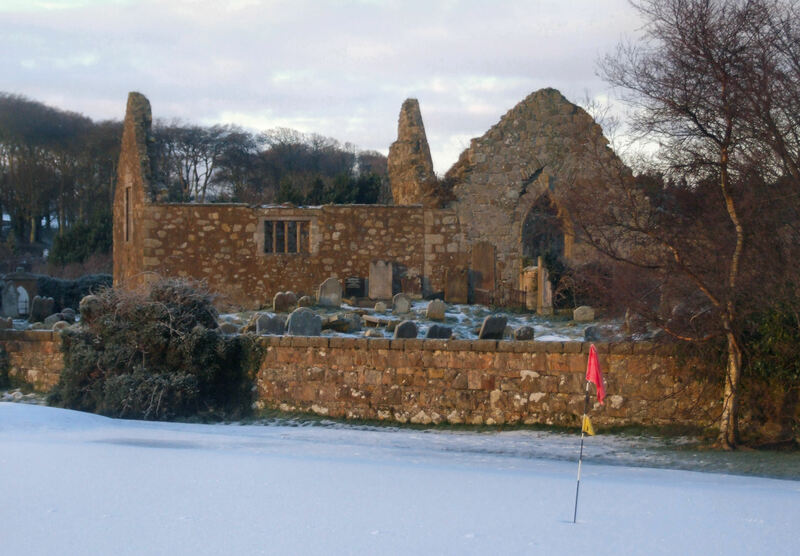 The site is just off the A2, beside Ballycastle Golf Club. 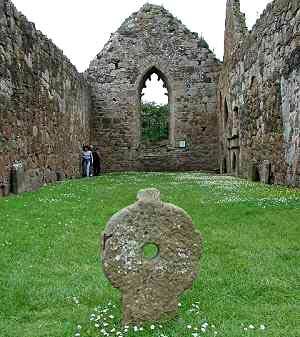 Remains: a small church, the transept chapel of which has been turned into the burial vault containing the remains of the celebrated MacDonnell chieftain, Sorley Boy, as well as several Earls of Antrim. East range of cloister, gatehouse and church is virtually complete except for roof. Free access always. Founded for the Third Order Regular about 1500, the friary was burned by the Irish and Scots in 1584 while it was being used by the English army. 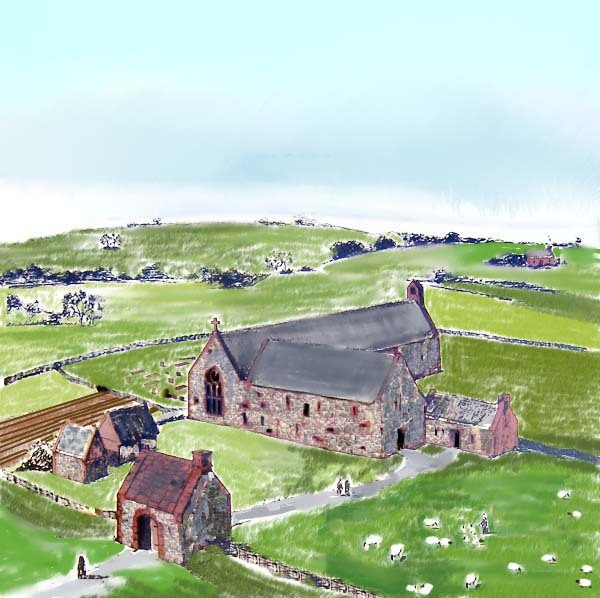 About 1626 it was taken over by the First Order and used as a base for the Scottish Mission until 1647. 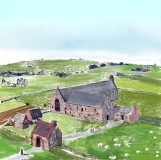 The friars occasionally returned to the site afterwards, either with the aim of re-opening the Scottish Mission, or in connection with parish work, which continued down to the death of Fr. Michael McMullin in 1789.